The first thing that strikes you when you first walk into Sound Check is the noise. 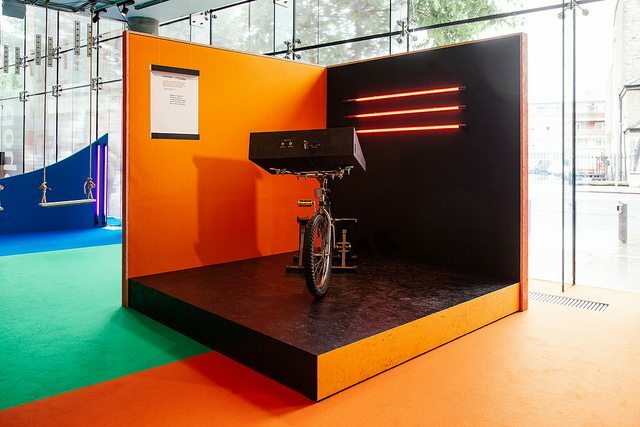 Everywhere you turn in the Science Gallery’s entertaining new exhibition there’s a cacophony of bleeps, bloops and people having fun playing with some of the strangest instruments you’ve ever seen – or heard. For many of us, the idea of trying to creating music can be intimidating. We look on it as something that requires hours of practice and training to do. Sound Check sets out to change this perception by using technology to devise new ways of making music that are open to everyone. Taking up an entire room on the first floor of the gallery, the Moog Sound Lab resembles the control deck of a spaceship from a 1950s sci-fi movie. A bewildering array of synths, pedals, blinking lights and wires, this marvellous machine can be used to create some truly otherworldly sounds – and apparently it’s even more impressive when you actually know what you’re doing. “Play the World” is the slogan used by music technology company Mogees and that’s exactly what their titular piece of tech allows you to do. Simply attach a sensor to any object in the real world (and we mean any object), connect it to your computer or phone and you’ll be able to “play” the object in question by hitting it. One of the most exciting themes running through the exhibition is the idea of wearable instruments. 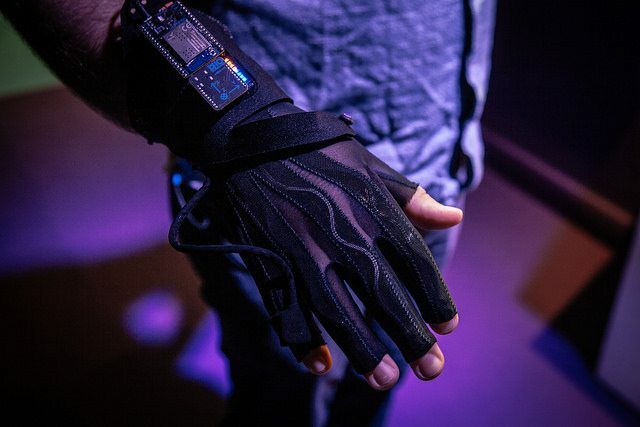 Created by a team of engineers, artists and designers (including musician Imogen Heap) the mi.mu gloves allow the wearer to interact with music in an entirely new way – manipulating and directing the sound with their hands and fingers alone. This is the human body remade as the instrument of the future. Moving from the hands to the feet, artist and musician Alexandra Murray-Leslie creates high-heeled shoes with a difference – it’s footwear for rocking out in. Customised with an array of strings and effects boxes, her sonic stilettos challenge traditional stereotypes about why we wear high-heeled shoes – while also allowing the wearer to make an almighty racket. Harnessing the power of radiation, the Ore-Some Machine uses a genuine sample of uranium to create some truly rad tunes. 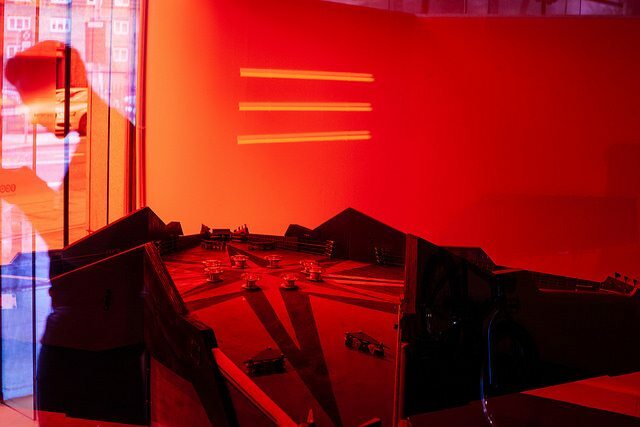 The installation consists of a mechanical xylophone which plays in response to the varying levels of radiation emitted by the decaying uranium and detected by an onboard Geiger counter. Never fear though, the case is lead-lined so it’s all perfectly safe. There’s loads more to discover at the exhibition including Sonic Playground, a cute and colourful “miniature orchestra for all” that you can mess around with to your heart’s content; String Pull, which uses old school video game tech to create gesture-based music; and Synth Bike, which as the name suggests, is a bike with synth attached. The faster you pedal, the faster the music goes. Careful though – it’s probably not street legal. Sound Check runs until the 24th of September 2017 and admission is free. Visit the Science Gallery website to see opening hours and find out more about what’s on show. Stuck for something to do this week? Never fear, our comprehensive Events page has the lowdown on everything that’s happening in Irish tech scene right now.